Posted by Chris Eaton in architecture, people. I like the framework because it keeps things simple by concentrating on a limited set of generic skills and covers pretty much any IT job. Posted by Chris Eaton in communications, EA, people. I came across a very good article here named EA Demystified. One of the salient observations is the use of language which is only comprehensible to people familiar with EA. Actually, I have stopped introducing myself as an Enterprise Architect because I receive such blank looks, and even if someone has an appreciation of the term ‘enterprise architect’ they ask for a clarification since it can mean so many things. TOGAF in particular needs a makeover in this space using terms like ‘Enterprise Continuum’ which fails completely to communicate what it is, and presents a complete barrier of understanding to any but those familar with TOGAF. This is a defnite communication fail. Well, in my opinion someone completely misunderstood the use of ‘Architectural Vision’ in TOGAF which is about selling EA and obtaining Buy In from stakeholders to start and continue to support EA. In TOGAF Target Architecture is about future state architectures, not Architectural Vision but im not here to criticise the wikipedia entry, my critism is that TOGAF once again uses language which is unclear, open to interreptation by EA practitioners let alone the uninitated in EA. so some very simple advice, use simple language in communications. 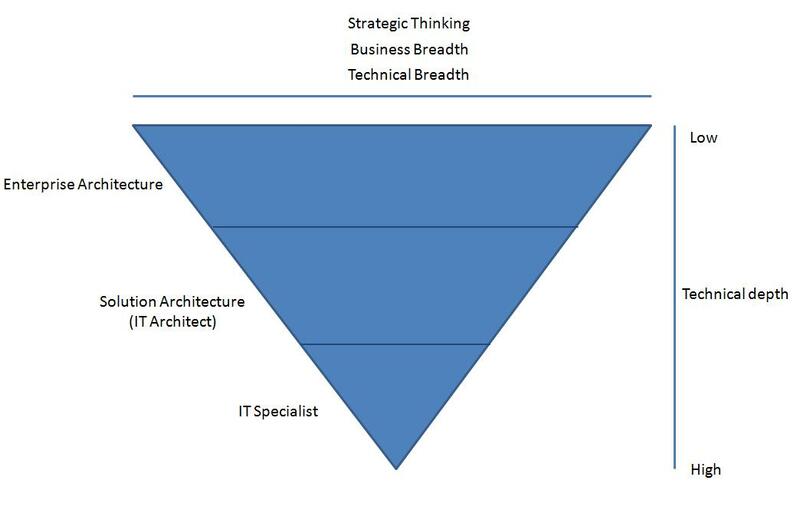 for the enquiring mind, i introduce myself as ‘working in IT Strategy’ , which i think is a reasonably comprehensible to the average joe and certainly recieves a much more warm reception than an Enterprise Architect. I hope one day I can say i am from the ‘Business and IT Strategy but my team is still seen largely in the technology space – for now..! Posted by Chris Eaton in communications, EA, IT Architecture, methods, people. Communications planning I feel is an oft forgotten part of an EA, even a mature EA. Often, communications is an ad-hoc affair, but planning who you communicate to, what to tell them, when to tell them and then executing against that plan *should* be a substantial part of a good EA practitioner. After all, communications in one form or another is what you are going to be doing 90% of the time. Communications can take different forms, it could be a regular monthly email, or regular calls to disseminate information, a one on one call, a group call focused on a particular decisions or a website for individuals to find the information themselves. The audience of a particular communication is very important, a is the timing of the communication. Who, What, When – A communications plan says WHO you are going to communicate with, WHAT you are going to tell then, and WHEN you are going to tell them. WHAT says what you are going to tell them based on their role, a CIO probably expects a monthly high level update in less than one hour, a solution architect, or group of solution architects may need a one hour meeting to discuss just one new standard which you have introduced, other roles like project managers who own project which need to comply to EA only an awareness. WHEN says that communications need to arrive at different frequencies for different roles, monthly, weekly, yearly? When can also be triggered, for instance if a requirement changes, or a major event takes place which alters, or could alter, the EA such as a merger of your company or of a competitor, or a change in business strategy, or perhaps even a Black Swan. In summary most communications should (must) be planned for a specific audiance, of course there are times when the unexpected happens and communications takes the form of hastily scheduled calls or meetings, but the vast majority in a mature EA should be planned.